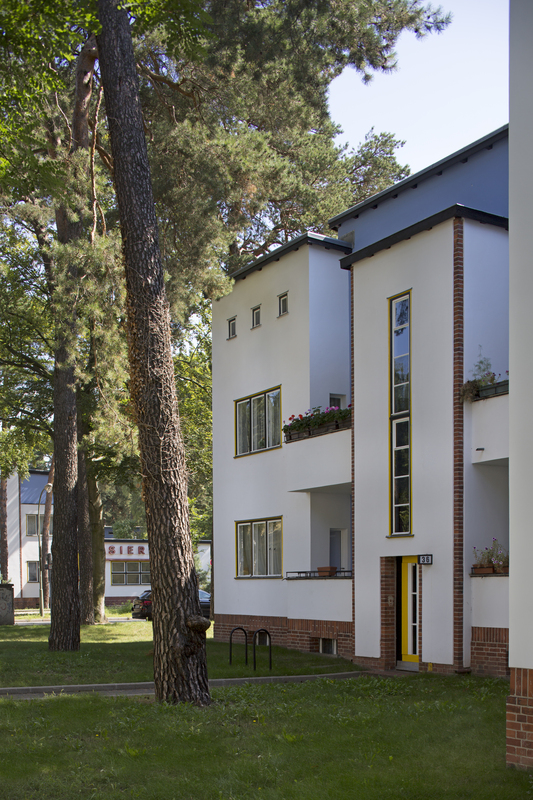 The Zehlendorf Forest Estate, built between 1926 and 1931 based on designs by architects Bruno Taut, Hugo Häring and Otto Rudolf Salvisberg, belongs to Deutsche Wohnen’s collection of architectural gems. The estate’s buildings and outdoor facilities have been restored in recent years in line with principles of conservation – in the spirit of the original architects’ designs. The Forest Estate certainly lives up to its name: conifers shape the look of this neighbourhood and create a stunning setting for the residential units. These tend to be on the smaller side, making them ideal for seniors and young people. 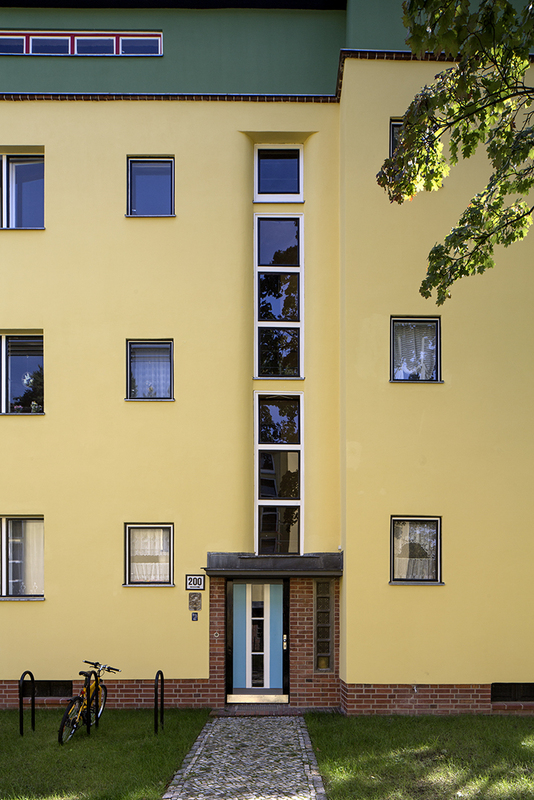 Everyone benefits from the neighbourly atmosphere, nearby U-Bahn connections and excellent shopping facilities. 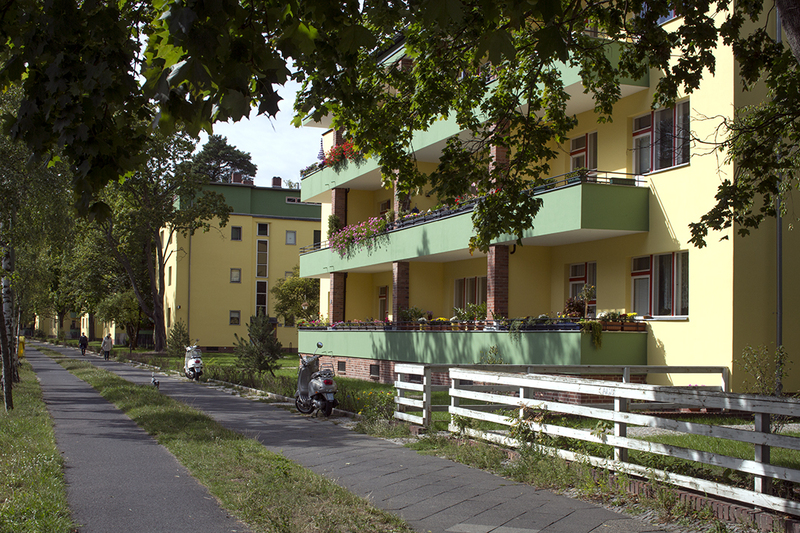 The housing estate is also close to the forest and the popular Krumme Lanke lake. The estate’s standout feature is its unusual colour scheme, which is adapted to the buildings’ different positions with regard to the sun: the north-south rows on the west side are in warm, reddish-brown tones, while the buildings on the east side are grey-green. 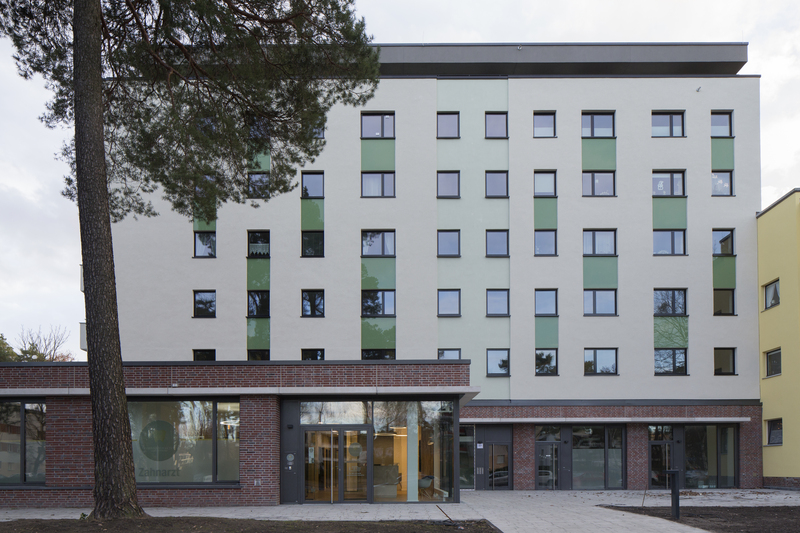 Windows and doorframes are in a colourful contrast to the facade. The ‘sophisticated’ residents of Zehlendorf referred to the Forest Estate somewhat disparagingly as the ‘Parrot Estate’ after it was built. Today, the estate is listed and world-famous for its architecture. 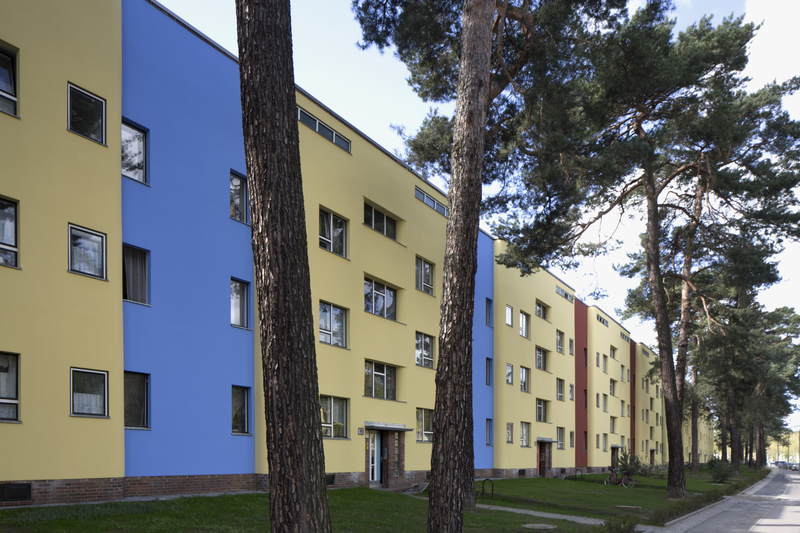 UNESCO World Heritage status, which six Berlin Modernist estates received in 2008, has yet to be awarded to the Forest Estate. 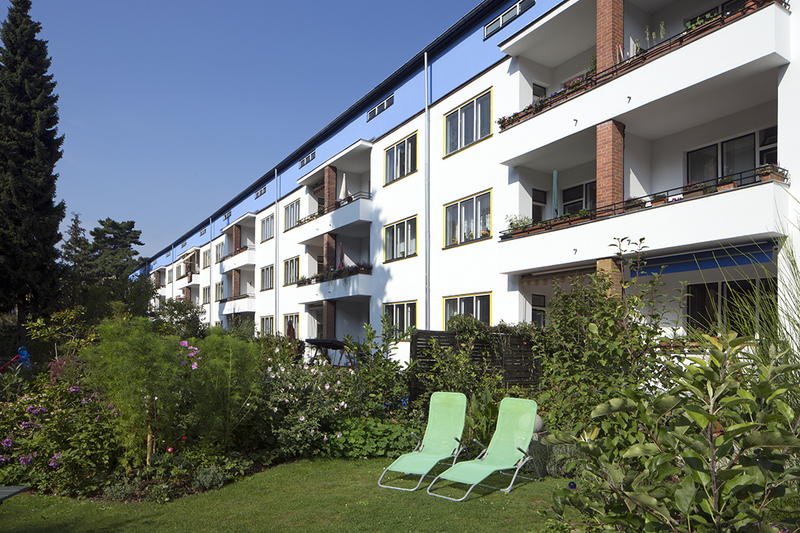 Property company Deutsche Wohnen invested almost 20 million euros in renovating the almost 800 apartments between 2007 and 2013. Connecting the estate to the district heating system was particularly crucial in the process. This reduced primary energy consumption by 58%, thus making a major contribution to the environment.